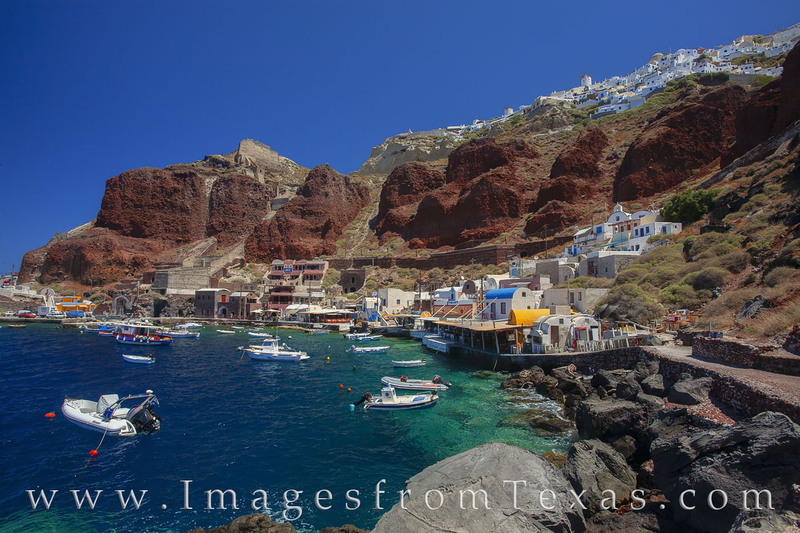 The sleepy fishing village of Ormos Armeni lies below the famous town of Oia on the Greek Island of Santorini. A series of 300 steps connect the two towns, and the blue-green Amoudi Bay provides seafood for both locals and tourists. Photo © copyright by Rob Greebon.